Access to these articles is free and the link will take you directly to the article. The following article captures some of the methodological issues in biofield therapy research. 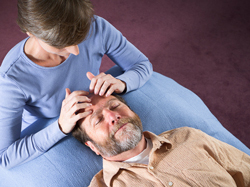 This article is about the Touchstone process, which is a method used to evaluate Reiki. Interesting article as many of the issues are similar to Healing Touch research. Presented below is a list of current research studies, completed research studies and clinical trials. There have been nearly 100 research studies conducted and documented. As this website grows we will add more studies and research categories. Check back often, as this section will grow. Below you will find resources to locate published research studies. Management of pain in newborns is very challenging for the healthcare teams that work with these infants. A University of Cincinnati team recently published a study exploring the impact of massage (M) and Healing Touch (HT) on neonatal pain using four pre/post outcome measures associated with pain including therapist-rated pain, presentation of the infant (sleep to agitated), infant's heart rate and oxygen saturation. These observed improvements suggest that massage and HT used in combination may be useful therapies to improve comfort and reduce pain in neonates. No untoward effects were reported. Important points about this type of study (as compared to a randomized clinical trial) include: there was no control group (infants acted as own control), and there was no control of variables (time of day, pain medication etc) or method of delivery of Massage or HT. In some ways this makes the study more pragmatic as the practitioners would have delivered the therapies based on their actual energy based assessment of need vs. a "prescribed" dose or method of massage or HT. For those working in Neonatal environments, this study is worth sharing with decision makers about the inclusion of integrative therapies in neonatal environments. As always, more research is needed to support these conclusions. Healing Touch with guided imagery for PTSD in returning active duty military: A randomized controlled trial. Military Medicine, 177 (9), 1015-1021, T Jain, S., McMahon, G.F. , Hasen, P., Kozub, M.P., Porter, V., King, R. & Guarneri, E.M. (2012). This well conducted study supports the use of HT in the care of military personnel with PTSD. Further study is warranted. Biofield Therapies: Helpful or Full of Hype? A Best Evidence Synthesis, International Journal of Behavioral Medicine, October 24, 2009. Click here for Full Article. PubMed - PubMed is a service of the U.S. National Library of Medicine that includes over 17 million citations from MEDLINE and other life science journals for biomedical articles back to the 1950s. PubMed includes links to full text articles and other related resources. PubMed Tutorial - to learn how to use PubMed. National Center for Complementary and Alternative Medicine (NCCAM) - The National Center for Complementary and Alternative Medicine (NCCAM) is the Federal Government's lead agency for scientific research on complementary and alternative medicine (CAM). They are 1 of the 27 institutes and centers that make up the National Institutes of Health (NIH) within the U.S. Department of Health and Human Services. Google Scholar - Google Scholar provides a simple way to broadly search for scholarly literature. How to use Google Scholar Search. 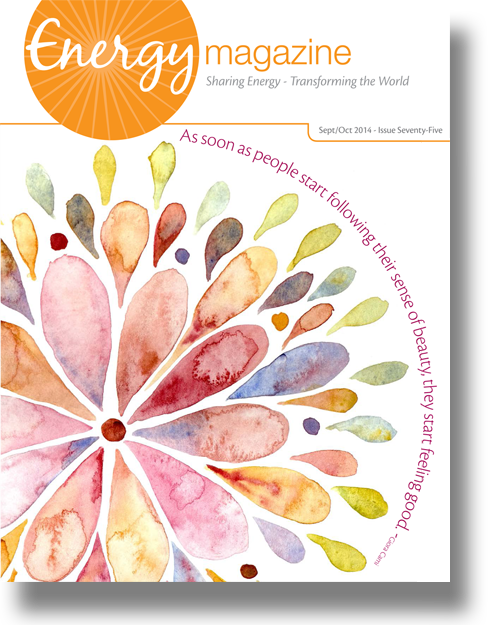 Healing Touch International Research - A summary of studies on Healing Touch. More complete information about these studies is available in the Healing Touch International Research Survey.